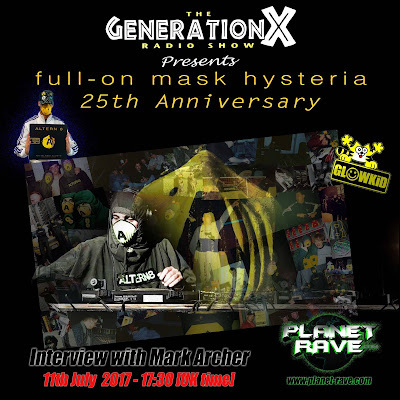 The very last episode of this season was aired on Tuesday 11th July @ Planet Rave Radio, and it was all about a big tribute to the 25 years of the iconic "FULL ON MASK HYSTERIA" album by Altern-8, which came out as a celebrating remastered version during the second half of 2016. 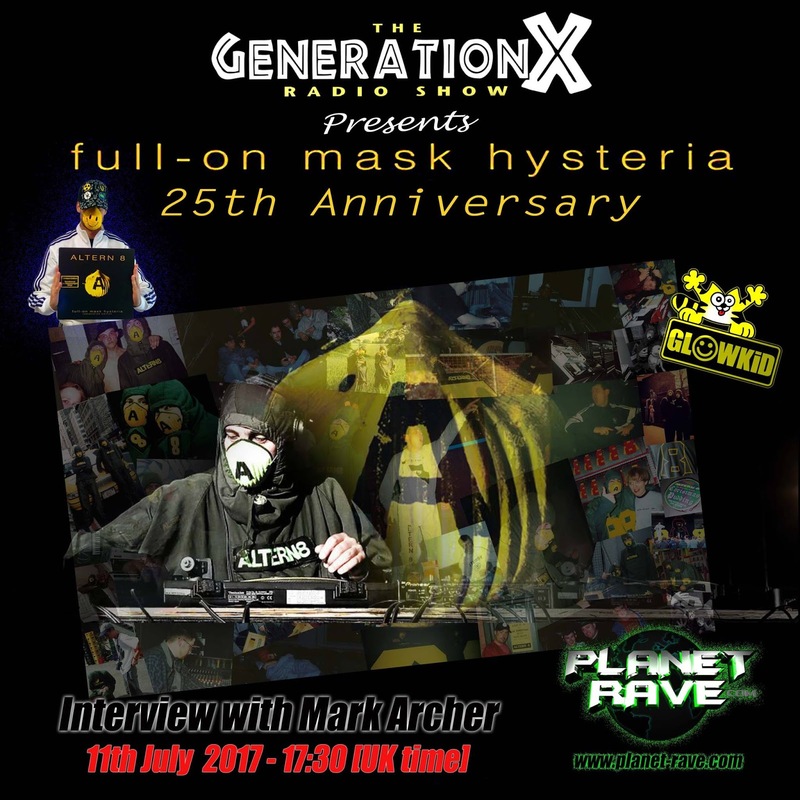 This show features my mix in all tracks from there, alongside few words from some of the GenX listeners from around the globe and of course my exclusive interview with the legendary Mark Archer. 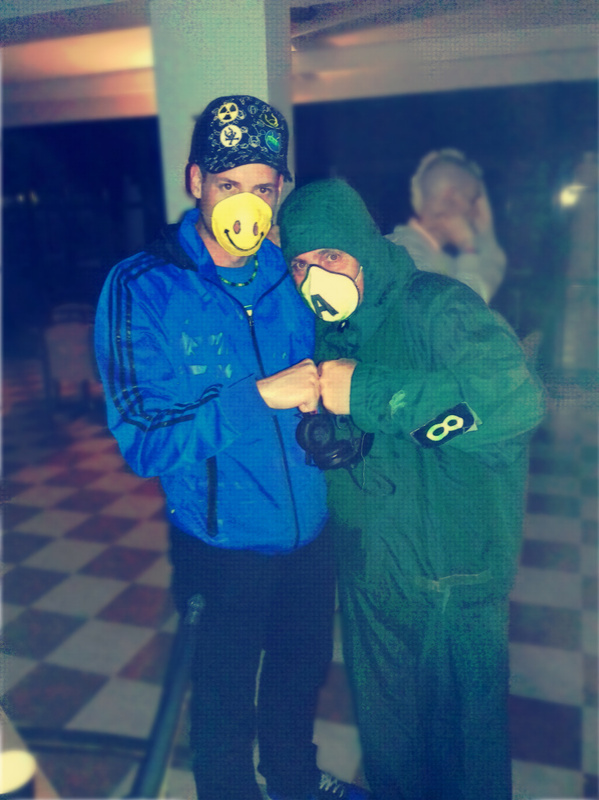 Mark talks about the beginning, the rumours about new Altern-8 tunes, his collaboration with Liquid, his book and scene's present and many more others on a very lovely chat we had. I would like to thank a lot all listening crew worldwide, all people who have been supporting Generation X [RadioShow] over its 6 years of life and everyone who believes and appreciates my work such as producers, labels and every spirit in general. Big Thanx also to my good buddy Tony L for this brilliant (once again) artwork and the previous ones he has been doing for my show.